All praise be to Allah, and peace and blessings be upon the Messenger of Allah, his family and Companions. Some newspapers have published articles on reviving and paying attention to monuments, written by some authors, including Professor Salih Muhammad Jamal. These articles have been responded to by His Eminence, Shaykh `Abdullah ibn Muhammad ibn Humayd. He efficiently and instructively answered to the claims included therein, may Allah reward him. However, Professor Anwar Abul-Jadayil, may Allah guide and inspire him with what is right, was not satisfied with that reply or had not seen it. Therefore, he wrote an article on the subject, published by the ‘Madinah’ newspaper, issue number 5448, dated 22/4/1402 A.H. In this article, which is entitled “The Way of the Two Hijrahs”, he stated: “This is a review of the word published in the ‘Madinah’ newspaper, issue 5433, on 7/4/1402 A.H., by Professor `Abdul-Quddus Al-Ansary, as a commentary on the investigation done by the researcher and man of letters, Professor `Abdul-`Aziz Al-Rifa`y, of the sites which the Messenger of Allah (peace be upon him) passed through on his Hijrah (emigration) from Makkah to Al-Madinah Al-Munawwarah. It urges us to stimulate officials to set signs indicating such posts such as, for example, two tents as close as possible to the two tents of Um Ma`bad with whatever else is suitable for the rest of posts, after taking the necessary precautions to prevent any transgression that could impart to them the tinge of sanctity or glory, and any deviation from the requirements of Shari`ah (Islamic law). For, the aim is to inform students, researchers and tourists who want to know about this path and these posts, to perceive the difficulties that the Messenger (peace be upon him) went through during this secret and covert trip.This is meant only to give lesson and example and inure people to hardships in Da`wah (calling people to Allah), following the example of the Prophet (peace be upon him). Due to the bad effects that reviving religious monuments have on the `Aqidah (creed), I wanted to clarify the truth and corroborate the writings of scholars on this issue, cooperate with those scholars in righteousness and Taqwa (fear or wariness of offending Allah), advise people for the Sake of Allah, expose suspicious points, and illustrate supporting evidence. The Prophet (sallAllaahu ‘alayhi wa sallam) said: “O ‘Aaisha, if your people had not recently been polytheists (and new converts to Islaam), and if I had enough means to reconstruct it, I would have spent the treasure of the Ka’bah in the way of Allaah, and I would have demolished the Ka’bah and made it at a level with the ground. Then I would have rebuilt it on its original foundations laid by Ibraaheem (Abraham) and made two doors for it – a door facing the east, for the people to enter, and a door facing the west, for their exit… And I would expand (the Ka’bah) by six cubits (around three meters) of area from al-Hijr (the unroofed portion of the Ka’bah which is at present in the form of a semi-circular, wall-surrounded area in the north side of the Ka’bah); (in [another] narration: I would have included the space of al-Hijr in it ), for when the Quraish had rebuilt the Ka’bah, they reduced its (area). And if your people would take initiative after me in rebuilding it, then come along with me so that I could show you what they have left out of it.” He [sallAllaahu ‘alayhi wa sallam] showed her about seven cubits (three and a half meters) of area (from the side of al-Hijr). After seeking good advice thrice, he made up his mind to demolish it. The people were suspicious and fearful that calamity might fall from heaven on those persons who would be first to climb over it (for the purpose of demolishing it), until a man climbed it and threw down one of its stones. When the people saw no calamity befalling him, they followed him and demolished it until they leveled it to the ground. Then, Ibn uz-Zubayr erected pillars and hung curtains on them until the walls were raised. And Ibn uz-Zubayr said, ‘Indeed I heard ‘Aaisha say that the Prophet (sallAllaahu ‘alayhi wa sallam) said: (he then mentioned the first portion of the hadeeth [mentioned in the beginning], then he said) – I today have the means to spend and I don’t fear the people (that they would protest against this change).’ So he expanded it by five cubits (around two and a half meters) of area from the side of al-Hijr until it appeared as the original foundation (upon which Ibraaheem had built the Ka’bah), and the people saw it; and it was upon this foundation that he raised the wall. The length of the Ka’bah was eighteen cubits (around nine meters), and when he had expanded it, he found it to be short (since the addition was made to its width, so naturally the length appeared to be small compared to its width). Therefore, he expanded its length by ten cubits (around five meters). He also constructed two doors, one of which (was meant) for entrance and the other one for exit. I (Shaykh al-Albaani) say: it was (obligatory) upon him, before the demolition, to verify and to ask the people of knowledge about that, whether it was allowed for him to criticize ‘Abdullaah bin uz-Zubayr and accuse him of uttering a lie upon the Messenger of Allaah (sallAllaahu ‘alayhi wa sallam). And his truthfulness (radi Allaahu ‘anhu) became clear to ‘Abd ul-Malik by Al-Haarith‘s agreeing with it, as many a group from ‘Aaisha (radi Allaahu ‘anhaa) agreed with it. And I have collected their narrations…in this hadeeth, and the hadeeth is detailed from ‘Aaisha. Therefore, I indeed fear that ‘Abd ul-Malik had prior knowledge about the hadeeth before he demolished the House, but he pretended that he did not hear about it except through Ibn uz-Zubayr. So when Al-Haarith bin ‘Abdillaah opposed him, that he also had heard it (the hadeeth) from ‘Aaisha, he (‘Abd ul-Malik) showed regret at what he had done, [but] it was too late for regrets. This is narrated by two isnaads from the Prophet by which the hadith reaches the level of hasan – and is increased in strength by the fact that a group of the Sahaabah acted on it – from them Ibn ‘Abbaas – may Allaah be pleased with him – who said: “This is the Multazam between the Corner and the Door. And it is authentically narrated from ‘Urwah ibn az-Zubair also – see ‘As-Sahaabah, no.2138. This is a matter concerning which the scholars differed, although it was not narrated from the Prophet (peace and blessings of Allaah be upon him) (i.e. that was not narrated in a saheeh hadeeth, as the ahaadeeth that were narrated concerning this were deemed to be da’eef or weak). 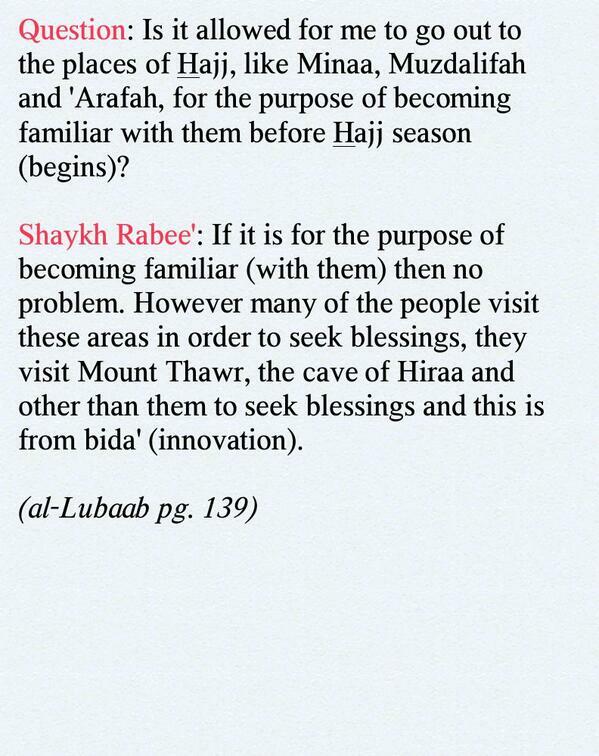 Rather it was narrated from some of the Sahaabah (may Allaah be pleased with them). So is iltizaam (clinging) Sunnah? When should it be done – upon arrival or when about to leave, or at any time? The reason for this difference of opinion among the scholars is that it is not narrated in the Sunnah of the Prophet (peace and blessings of Allaah be upon him), rather the Sahaabah (may Allaah be pleased with them) used to do that when they arrived in Makkah. Based on this, there is nothing wrong with iltizaam (clinging to the Ka’bah in this area) so long as that does not involve annoying others. Question: Is salat inside the Ka’bah in any way superior to salat outside it, and is it permissible for a person to speak of what he has seen inside the ka’bah? This proves that salat inside the Ka’bah is preferred and is a means of drawing close (to Allaah) and an act of obedience, and in it is great merit. However, it is not fitting that there should be crowding, or harm, or doing anything which causes difficulty to him or to the people. It is enough for him to pray in the Hijr, because it is a part of the House; and there is no objection to speaking about what he has seen inside the Ka’bah, such as its inscriptions, or what is on its ceiling or the like. There is no objection to a person talking and saying: “I saw such and such and such and such.” There is no sin in that. The Sunnah, when one enters the Ka’bah, is to pray two rak’ahs and to say “Allaahu Akbar” and invoke Allaah, the Almighty, the All-Powerful with whatever supplications are easy for him at the end of it, especially those which have been reported (from the Prophet, salallaahu ‘alaihi wa sallam) because the Prophet (salallaahu ‘alaihi wa sallam) entered the Ka’bah and prayed therein, then he performed Takbir and supplicated Allaah. All of this has been authentically reported from him (salallaahu ‘alaihi wa sallam).